Founder of The Shakti Multiversity, Ma Shakti Devpriya ji is an accomplished sadhika of Swara, teaching this ancient science of self-perfection to the masses. Ma Shakti insists on disciplined approach under the guidance of an able teacher to be able to learn and perfect the art and science of reading the language of breath. Ma Siddhidatri the ninth Shakti of Ma Durga is the one that gives all types of fruits of Sadhana. Sidhhi means supernatural powers or any special ability. Datri means giver, the one that awards it to the Sadhaks. Siddhi just not only mean to have some supernatural powers, although in a broad form we can say that there are eight siddhis. But developing a deep meditative state is also a Siddhi and surely the highest one. Being in complete control of ones thoughts and actions is also a Siddhi. The word “Siddhi” in Sanskrit means perfection, as Sadhak can gain perfection in anything he desires by worshiping Ma Sidhidatri. Ma Siddhidatri is depicted as seated on a Kamal (Lotus) and her vahana (vehicle) is a lion. She has four hands. In upper right hand she holds a Chakra and in lower right hand holds a Gada. In her upper left hand she holds a Shakh and in lower left hand she holds a Lotus. The half bloomed lotus represents spiritual evolution. Ma Siddhidatri is believed to provide energy and direction to planet Ketu, as she governs planet Ketu. Ma Siddhidatri as mentioned is the giver of Siddhis. Even Lord Shiva got all his Siddhis when he worshiped and prayed to Ma Siddhidatri. She appeared from the left half of Lord Shiva and gave him all the Siddhis. As per the Brahmavaivart Purana there are 18 types of achievements which are Anima, Mahima, Garima, Ladhima, Prapti, Prakaamya, Ishitva,Vashitva, Sarvakaamaal, Saadhita, Sarvagynatva, DurShravana, Parkaayapraveshan, VakaSiddhi, Kalpavrushatva, Shrishti, Samharkaransaamarthya, Amaratva, Sarvanyayakatva, Bhavana and Siddhi. This form of Lord Shiva is known as Ardhanareeshwar. As Mother Siddhidaatri is the giver of supernatural abilities and powers she is worshiped by all including Yaksha, Asura, Gandharva and Devatas. The sacred and energetic days of Navratri culminate in worshiping Ma Siddhidatri. This is the day when a Tattva Shakti Sadhak should do Panchtattva Sadhana by contemplating on the swaroop of Ma Siddhidatri and ask for forgiveness for any mistake that happened during the entire Sadhana. Those who follow ‘Durga Saptashati’ should recite ‘Kshama praarthanaa Stotram… ‘Aavaahnam na jaanaami.. Na jaanaami visarjanam…’ earnestly and sincerely seek forgiveness for any shortcomings in the procedures and errors caused due to ignorance. A Sadhak can ask for anything he/she wishes for but it is always good to ask for what for whatever is best should happen as divine Mother, Ma knows what is the best for a Sadhak. When a Sadhak is blessed by Ma Siddhidatri he/she is able to see Brahma in every form and being. When a Sadhak does his/her Sadhana with focussed and joyful mind, Ma Siddhidatri blesses him/her in such a way that all his/her desires related to material realm are fulfilled and he/she feels there is nothing more to gain from this world and starts an ardent spiritual journey. It is also a important day to dwiteeya koti Sadhaks who should do their secret sadhana contemplating on the swaroop of Ma Siddhidatri and visualizing her sitting in the Anahat (Heart) Chakra. Worshiping Ma Siddhidatri marks successful completion of Navratri Sadhana. Glory of Nav Durga is infinite and they bless the humankind by being very generous and gracious. I bow down at the lotus feet of my Guru and Goddess to give me strength, wisdom and helping me generously for successful and blissful completion of my Navratri Sadhana, I pray to the divine supreme Goddess so that you receive all the divine grace from Goddess in this New Year. All Tattva Shakti Vigyaan practitioners are advised that after concluding day of Navratri the association of Goddess with Tattvas they should not do. Proceed with normal routine of sadhana – enjoy the fulfillment and your journey on the Road to Bliss. Ma Mahaguari is the eighth Shakti of Ma Durga. In many parts of India Durga Ashtami is celebrated very devotedly. There are formation of big pandals (a fabricated temporary structure) in which big statues of Ma Durga are placed and worshiped. This practice is more common during Sharad Navaratri (which shall begin from 1st October this year -2016) though. Ma Mahagauri is known so because of her very white glowing complexion she has. Ma Mahagauri is manifestation of Ma Parvati. When Ma Parvati did a hard penace to beget Lord Shiva as her husband, she had become very frail and due to the dust and sun her complexion also became very dark. Lord Shiva asked Ma Parvati to take a bath in River Ganga, and river Ganga starts flowing from the matted hair of Shiva on Ma Parvati. Lord Shiva touches Ma Parvati and with the sacred water of Ganga, Ma Parvati gets a shinning white glowing body. Thus by virtue of having acquired a white complexion, Parvati came to be known as Mahagauri. Mahagauri means extremely fair. The white complexion of Ma Mahagauri is compared to the conch, the moon and the white jasmine flower . Ma Mahagauri is depicted seated on a bull and because of that she is also known as Vrisharudha (वृषारूढ़ा) She has four hands and is wearing white clothes. She is also known as Shwetambardhara (श्वेताम्बरधरा). Sometimes also depicted wearing green saree. Her upper right hand is in Abhaya Mudra and in her lower right hand she is holding a trident. In her upper left hand she holds a damaru (tambourine) and lower left hand is in Varada Mudra. As Navratri enters into the eighth day, a very important day for Sadhaks starts as the energy have now lifted. White means all possible colors mixed together energetically. The Sadhna done on this day gives instant results, so every Tattva Shakti Sadhak and Sadhika should not miss the Sadhana of this day. The Panchtattva Sadhana should be done by contemplating on swaroop of Ma Mahagauri continuously with a calm and focused mind. The Sadhana has the power to wash away all previous bad karmas too. Ma Mahagauri Sadhana takes care of the future too, as the Sadhak starts feeling fearless towards the future and feels taken care of always. The Sadhana is not only beneficial on spiritual realms but also on material realms. The Sadhak gets a clear vision of life and also does good and honest deeds. Ma Mahagauri represents purity and this is what she expects from her devotees…. purity in thought and deeds. The one who qualifies the test of purity Ma Mahagauri gives instant results to him/her and fulfills all his/her desires. She rids the Sadhak’s mind from any doubt that crops up while doing Sadhana and makes the path of Sadhana smoother and easier. Many times during these eight days in the context of many aspects of Shakti we have said things like ‘She destroys all past karmas’ .. ‘She fulfilled all desires’…. ‘She gives many siddhis..’ and it is quite natural for some of you to think.. which deity I should choose for such and such desire. Well the rule is.. ‘ekai saadhe sab sadhe… sab saadhe sab jaay’. If you aren’t seeing a common current in all swaroopas of devi then you miss the point. The most appropriate way of approaching to divine goddess is asking for her very devotion because through her devotion only she channelizes you to Shiva. This is the best desire. If you get that you will get all. Ma Kalaratri is the seventh Shakti of Ma Durga is the fiercest form. Kala means time and death both. Kalaratri means the one that destroys even the time and death. There is a very special significance of Ma Kalaratri for serious spiritual seekers. Ma Kalaratri is depicted seated on a donkey. She is dark in complexion with long, bountiful open hair. Her form evokes fear in them who do not understand her and in them who fear losing their material attachments. She has four hands. Her right hands are in Abhaya and Varada Mudra and she carries sword and the deadly iron hook in her left hands. She has three eyes which emanate rays like lightning. Flames appear through her nostrils when she inhales and exhales air. She is wearing a necklace that is shinning like a lightening. She is also known a Ma Shubhankari as she always gives “Shubh” good fruits to her devotees. Ma Kalatatri governs the planet Shani and gives respite to her followers from the ill effects of Shani. When the fierce war was going on between Ma Durga and Mahishasura, a demon Raktabeej came into form. Raktabeej was a demon who could multiply from every drop of his blood which fell on the ground. Ma Durga takes up the form of Ma Kalaratri to destroy demon Raktabeej. The Goddess Kaalratri killed him by licking the blood before it could reach the ground and hence conquered him. The negative thoughts also divide infinitely and cause havoc if they are not destroyed well before time. Ma Kalaratri teaches us to finish the negative tendencies even before the drop on the fertile land of the mind. As soon as you get aware, destroy it. Connecting with this Shakti principle will help you gain strength to destroy negativity from roots. Ma Kalaratri is Sahastrara Shakti. The Sahastrara (Crown) Chakra is the thousand petalled Chakra that connects a Sadhak directly to the spiritual realms for which he is earnestly and untiringly does his Sadhana. This is a very special day for all Tattva Shakti Sadhak and Sadhikas. The Panchtattva Sadhana while contemplating on the form of Ma Kalaratri destroys their darkness and ignorance. The secret sadhana of Dwiteeya Koti Sadhaks is thousand times fruitful to them on this special day. Ma Kalaratri destroys all the negative tendencies and a Sadhak who is not prepared or protected feel fearful as he/she may start losing the identity and merge with the Goddess. She is also the destroyer of negative forces in the form of Rakshasa, bhoot, pret and daanav. A Sadhak should realize the form of Ma Kalaratri completely and with focussed mind worship her. A Sadhak should take special care of being pure in thoughts, words and actions. Connecting with Guru and being in Guru’s protection is the key here however that sort of connection can not be established without extremely firm faith and surrender to one’s Guru. It is said no one can cross this chakra without the grace or Guru because there comes so much fear and anxiety as holes start developing in Kanchukas.. the first two being – Time and space. Only Guru’s unconditional love for the disciple can make him/her sail through this zone. Worshiping Ma Kalartri opens the doorways to all sorts of Siddhis. She needs to be offered our ‘identity’ and little tiny ‘presence’ as sacrifice and in return she gives us the taste of ‘infinite’. Fills us with immense power. A Sadhak get free from all fears even fear of Fire, water, animals, enemies and darkness is no more there for him/her. Ma Kalaratri teaches us that sorrow, decay and death are unavoidable and cannot be ignored. We should accept these truths of life and rise above them. The sixth day of Navratri is dedicated to Ma Katyayani. There are many views about the origin of Katyayani Devi the one which is most accepted goes like this.. There was a famous sage Kat, and name of his son was Katya. In the lineage of Katya, a famous sage Katyayan was born. Sage Katyayan wanted Ambe Ma to be born as a daughter to him. She was born to sage Katyayan on Chaturdashi of Krishna Paksha of Ashvin Month. Sage Katyayan worshiped Ma on Saptami, Ashtami and Navmi of Shukla Paksha of Ashvin Month, and then Ma killed Mahishasura on Vijaydashami. She is known as Ma Katyayani as she was born as daughter to Sage Katyayan and also because sage Katyayana was the first one to worship her. So she is the daughter form of Ma Durga. She is epitome of love in the form of a daughter. This story conveys a very profound message that the Goddess fulfills every desire of a devotee even if he/she wishes that She be born to them. This is no deviation from what is said in Gita where Krishna says ‘You receive me in whatever form you desire’. Ma Katyayani has four hands. Goddess Katyayani carries lotus flower and sword in her left hands and keeps her right hands in Abhaya and Varada Mudras. Her skin is golden in colour. Ma Katyayani rides a lion. Planet Brihaspati is governed by Goddess Katyayani. Ma Katyayani shows us to reveal our inner strength and fight over all odds to emerge as a winner. She is an inspiration for women and is the symbol of strength and victory of good over evil. There are many scriptures in which we find mention of Ma Katyayani like Taittriya Aranyaka part of Krishna Yajur Veda, Devi Bhagvatam, Devi Mahamatyam and Markendya Purana. We find that many astrologers suggest to worship Ma Katyayani for early marriage of girls. This is Katyayani Vrat that is specially done by young unmarried females for early marriage. Katyayani Vrat is mentioned in Devi Bhagvatam. This vrat was done by young gopis of Vridavan as they wanted Lord Krishna as their husband. This vrat was done during the month of Margashirsha. Ma Kanya Kumari in South India is also a form of Ma Katyayani. She is also prayed by young girls for early marriage and for rain and prosperity. The best time for Katyanyani rituals is Godhooli Vela (dusk). A prayoga of Ma Katyayani is often suggested for avoiding ‘separation or divorce’ where clothes of Yellow and Red color are used and tied together after worship and rituals as guided by Guru. The most loving and best offering for Shakti Katyayani is ‘Honey’ offered in earthen pot or Silver pot. Ma Katyayani is Agnya Shakti. Those who are initiated by any Guru should make their special offerings to Guru. The best offering towards the Guru is disciple’s devotion in the mantra, discipline in sadhana and obedience (matra moolam guru vaakyam). Tattva Shakti Sadhak and Sadhikas should do Panch Tattva Sadhana that they have learned by contemplating on the form and various aspects of the Goddess. Dwiteya koti Sadhaks are given a secret Sadhana that they should do during the Navratri period as the energies are very during this phase. The importance of Agya Chakra is very high in Yogsadhana. The Sadhak develops the ability to devote himself/herself completely to Shakti. Ma Katyayani gives darshan to the Sadhaks who surrender their ‘self’ completely and get rid of ego. She blesses the Sadhak with all the four Purushartha Dharma, Arth, Kama and Moksha. Although the Sadhak may remain engaged in worldly affairs, he/she is surrounded by a bright and divine light and his/her aura becomes magnetic. All the fears, illness and sadness of a Sadhak are destroyed. Ma Katyayani Sadhana destroys bad karma of previous lives too. Doing Panchtattva Sadhana while contemplating on Ma Katyayani removes negativity from the mind of a Sadhak and annihilates ego that is the source of all suffering. Ma Skandamata is the fifth Shakti of Ma Durga, worshiped on the fifth day of Navratri. When Goddess Parvati becomes the mother of Skanda, she is known as Skandamata. Skanda is another name for Lord Kartikeya. He is also known and revered as Lord Murugun in South India. Lord Kartikeya was chosen by Gods as their Commander in chief in Dev-asur Sangram (War between gods and demons). Lord Kartikeya was born to kill a demon named Tarakasur. Tarakasur was given a boon by Brahma that only Lord Shiva’s soon can kill him (Tarakasur chose this boon thinking that a Yogi like Shiva shall never marry… Alas!). Hence, the birth of Skanda. Planet Budha is governed by Ma Skandamata. Worshiping Ma Skandamata gives benefit of worshiping Skanda Kumar as well, and this beautiful conjunction happens only with Ma Skandamata. She also rids the appeaser from the ill effects of planet Budha. Ma Skandamata is depicted seating on lion holding Skanda in his infant form, with her right upper hand. She has four arms and three eyes. In right and left lower arms she is holding a lotus each. Her left upper arm is in varada mudra. She is also many times depicted sitting on a lotus flower, so she is also known as Padmaasani. Her color is Shubhra that is like white lotus. She is a having a soft and loving expression just like a loving mother. There is special importance of fifth day of Navratri for Sadhaks. Ma Skandamata is Vishudh Shakti (Pure feminine Energy.. the one which is accommodating, forgiving and protective). Vishudh (Throat) Chakra is also abode of Akasha Tattva (Space element). So on the fifth day of Navratri, Tattva Shakti Sadhak and Sadhika should first make Sankalpam and Guru Vandana and proceed to Akasha Tattva Sadhana. A Sadhak should continuously meditate on the form of Ma Skandamata while doing this Sadhana (only during Navaratri). A Sadhak who does this Sadhana gains a completely calm mind with no ripples of thought. There is a possibility of gaining Samadhi as all the external and internal activities of a Sadhak are stopped when connection truly happens. The mind of the Sadhak gets free from all worldly bondages, the veil of Maya is no more there when he/she becomes completely in the experience of Skandamata. All the desires of a Sadhak are fulfilled. He is always surrounded by an invisible divine halo, this protective aura gained through Akasha-Skandamata communion always maintains his ‘Yoga-Ksema’. Its said, by the mercy of Ma Skandmata, even the idiot becomes an ocean of knowledge. The great and legendary Sanskrit Scholar Kalidas created his two masterpieces works viz. “Raghuvansham Maha Kavya” and “Meghdootam” by the grace of Ma Skandmata. However some believe that Kalidasa was also inspired and blessed by Ma Kushmanda or Ma Saraswati (I am sure after being initiated in Tattva Shakti Vigyaan you shall not be puzzled on this debate of ‘which’ Shakti). Worshiping Ma Skandamata purifies the home and removes negativity from the home. The healing capacity of healers also increase. The Shakti aspect that is worshiped on the fourth day of Navratri is Ma Kushmanda. Ma Kushmanda is that form (swaroop) of Ma Durga who created the whole universe with her divine smile, when nothing existed and there was eternal darkness. The universe created was in a shape of a egg, hence the name Kushmanda. The supreme goddess of power or Adi-Parashakti, appeared in the form of Siddhidatri from the left side of lord Shiva’s body. After taking the form of Siddhidatri, Goddess Parvati started to live inside the core of the sun and, hence, came to be known as Kushmanda Devi. This implies that Kushmanda Devi controls the entire solar system, while residing in the core of the sun.The word Kushmanda is made of three words that are “Ku + Ushma + Amnda= Kushmanda”. Here “Ku” is “Little”, “Ushma” is “Warmth or Energy” & “Anda” is “Egg” , means the one who create the universe as “Little Cosmic Egg” with the energy of Her divine smile. In Sanskrit word “Kushmand” means white pumpkin. Sacrifice of white pumpkin is dear to Ma Kushmanda in the ritualistic sacrifice. Ma Kushmanda is also known as “Ashtabhuja”as she is having eights arms. In her seven hands she holds Kamandalu, Bow, Arrow, Lotus, a Jar of Nectar, Discus, and Mace. In her eighth hand she holds a rosary capable of giving eight Siddhis (eight types of wisdom or powers) and nine Niddhis. (nine types of wealth). The eight siddhis are Animan, Mahiman, Laghiman, Gariman, Praapti, Prakaamya, Ishitva and Vashitva. The nine niddhis are Mahapadma, Padma, Shakh, Makara, Kachchhapa, Mukunda, Kunda, Nila and Kharva. She is also known as Adi Swaroop as she created the whole universe. Her vehicle is a lion. We have an ancient temple of Ashtabhuji Devi in Khajuraho and that temple has enormously positive vibrations. The governing planet of Ma Kushmanda is Sun. Her being is illuminated like a golden glowing sun. She is the source of light in every being in this universe. Ma Kushmanda is Anahata Shakti. Anahata (Heart) Chakra is also the abode of Air Element. So on the fourth day of Navratri, Tattva Shakti Sadhak and Sadhika should first make Sankalpam and Guru Vandana and proceed to Vayu Tattva Sadhana. A Sadhak should continuously meditate on the form of Ma Kushmanda while doing this Sadhana (during Navaratri). It is very important to do the Sadhana with pure and focused mind. She opens the doorways to higher spiritual experiences to those who devote their pure hearts to her. The Sadhana removes all illness and sadness from the life of a Sadhak. Ma Kushmanda dispels darkness and ignorance. I have many personal experiences of people coming out of their tamasic life to become sattvic by the grace of Kushmanda devi, especially this Khajuraho temple in particular. Ma Shakti Kushmanda destroys ego and removes doubts, depression and sorrow. She ensures sadhakas/devotees who show their complete faith in Her tread smoothly towards higher spiritual realms. The Sadhana gives subtle but profound spiritual experiences to the Sadhak. A Sadhak gains more clarity of his spiritual path and dwells deep in his/her Sadhana. Ma Kushmanda gives fruits both of worldly and supernatural realms. The New Hindu Year (चैत्र, कृष्ण पक्ष, विक्रम सम्वत २०७२) is starting tomorrow i.e. 8th April 2016. The auspicious days of Chaitra Navratri will also be starting from tomorrow. Each day of these nine days are dedicated to a cosmic energy which we refer to as Goddess or Mother. All the nine Goddesses are various aspects of the same primordial Shakti which is the origin for this cosmos.. sakal srishti. Seers and tantric adepts who can connect with these energies can tell you that there are reasons in worshiping them in a specific order over these 9 days the first Goddess being Ma Shakti Shailputri. “Shailputri” means ” Daughter of Mountains.” She is known as Shailputri as she was born as daughter of Himalayas. The first day of Navratra is devoted to Ma Shailputri. On the first day of Navratri we should contemplate on the Shakti principle of Shailputri. Ma Shailputri is depicted as divine goddess sitting on a Vrish (Bull). She has Shool (Trident) in right hand and Kamal (Lotus) in left hand. Worshiping Ma Shaiputri rids a Sadhak/Sadhika (practitioner) from any ill effects of Moon, further also this connection bestows good fortune as moon is the governing planet. Ma Shakti Shailputri resides in Muladhara Chakra (Root Chakra). The spiritual journey of a Sadhak starts by arousing the Kundalini which lies dormant in Muladhara Chakra, so on first day we should contemplate and worship Ma Shailputri with the intention of kundalini awakening. She is the Muladhara Shakti. Muladhara or Root Chakra is also the abode of Prithvi Tattva (Earth Element). So on first day Tattva Shakti Sadhak and Sadhika should do first make sankalpam and Guru Vandana then proceed to Prithvi Tattva Sadhana. Doing Prithvi Tattva Sadhana helps a Sadhak in becoming stable and grounded in the Sadhana. It helps in awakening this Shakti principle. This marks the start of the spiritual journey which takes a Sadhak towards his life purpose – Bhukti (Fulfillment of Material desires) and Mukti (getting rid of sufferings of Yama or Kaala). Contemplating on Ma Shailputri while doing Prithvi Tattva Sadhana blesses Sadhak with immense strength to walk on spiritual path. Prachya Prateek Vigyaan is a science to understand self in conjugation with the universe. Swar Vigyaan is a very important aspect of Prachya Prateek Vigyaan. Ancient Indian seers have given this world many sciences that deal with growth and transformation of all the aspects of human life. SwarVigyaan is one of the important ancient science that is so very helpful for every human. One can gain abundance, growth, success, good health and long life by putting its principles in practice. A Swar-vigyaani (Swar-Vigyaan practitioner) is so accurately intuitive that his/her every move, every decision and choices seem to fall in line with the upswing of destiny.. So much so that one can become one’s own bhagya-vidhata ( the writer of one’s own destiny). Swar Vigyaan is also known as Swaroday. Swar means breath here. Swaroday is made of two words Swar and Uday. Uday means to rise, so Swaroday literally means to understand the movements of breath arising from the nostril. 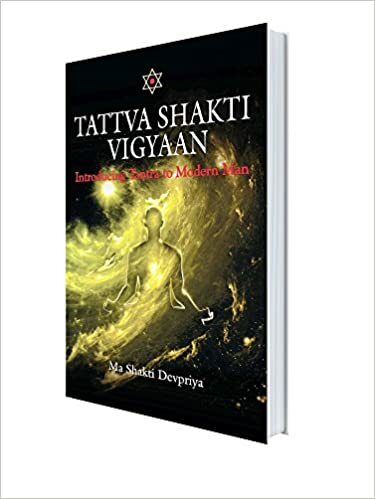 The ability to grasp swara-vigyaan comes when one is capable of recognizing Tattvik Energies within one’s body and breath which is possible only through perfecting the Tattva Shakti Vigyaan practices. The science and rules of understanding breath and discipline of its movements is Swar Vigyaan. It is a very old and established science. Swar Vigyaan is known and used by very less people now a days but those who do vouch for the powers of it. A person attracts abundance, health and happiness in his life by putting the principles of it to work. A seasoned Swar Vigyaan practitioner can also know past, present and future with utmost clarity. Though it sounds very lucrative but frankly with my own experience I can say that despite having all the blessings and guidance from my Guru and putting up thousands of hours of practice I still continue to discover some entirely new things everyday through it. I can say with conviction that it is a lifetime learning for the one who wishes to take it up. One is required to lead the life a Yogi/Yogini based on the principles of Yogic living. As traditionally this knowledge is imparted only to able disciples chosen by the learned Masters therefore those who are already been initiated in Tattva Shakti Vigyaan are probable candidates in this secret knowledge however only upon they proving their credentials and candidature.